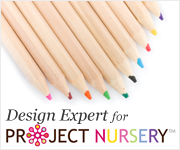 Nursery Notations: More Kid's Rooms in Lonny! 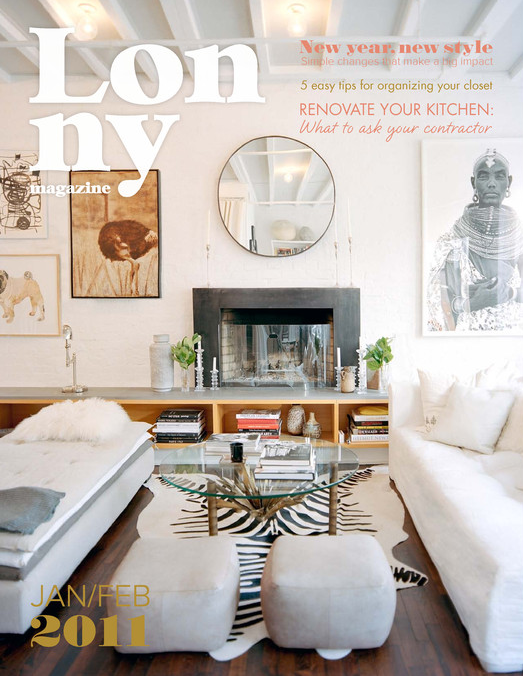 The January/February issue of Lonny just came out today! 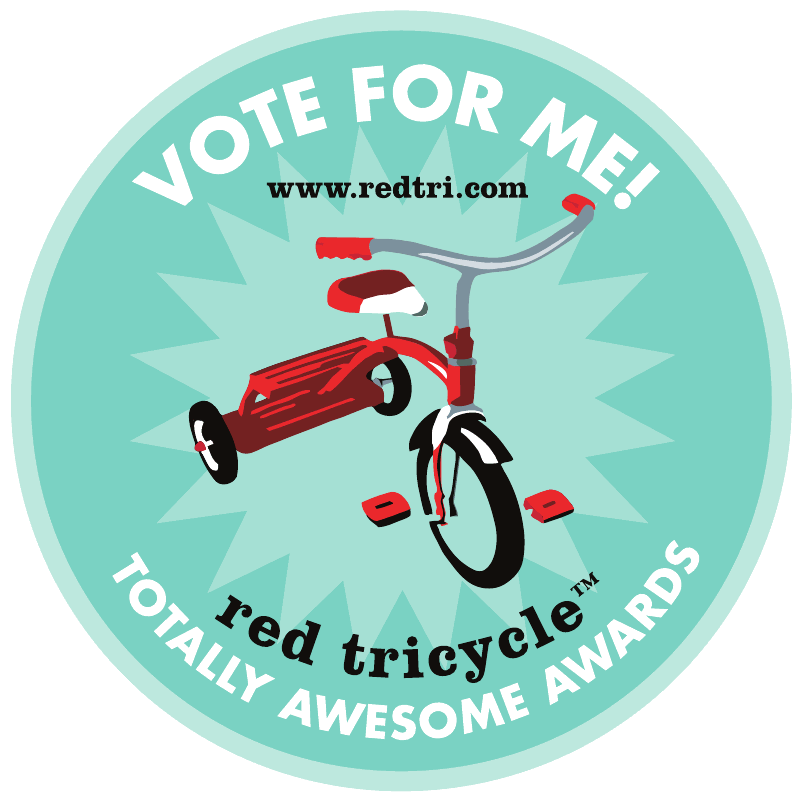 Yet another wonderful issue and again thank you for including some children's spaces! This time the rooms featured are a playroom and a boy's room in Marlien Rentmeester's home designed by Hillary Thomas. Both covered in grasscloth, my favorite for children's rooms. The playroom is bright and airy with minimal furniture to allow for plenty of free play. The lounge bed gives adults a space to relax and cuddle with little ones. I like the child-high shelf under the windows, the perfect spot to display cars and action figures off the floor. Also, notice how the Manuel Canovas window treatments make the room? 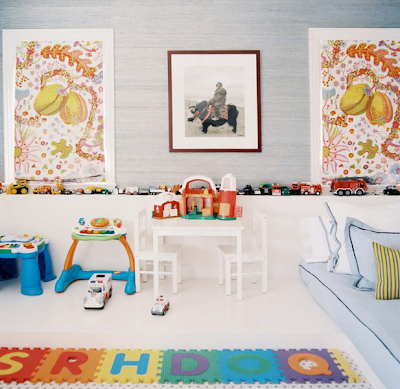 They along with the toys are the main focus in the room, not the walls, artwork or bed linens. 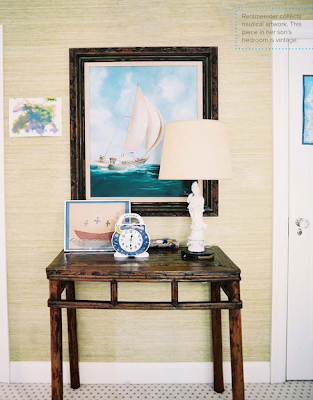 The second child room shared in this issue is Marlien's son's bedroom. Again grasscloth, to allow for a rotating hole-free display of artwork. The room has a much more calming and serene feel than the playroom It could almost pass for a guest room, but the artwork, mobile and teddy bear gives it away as being a little boy's room. This last room is not a bedroom but a very child-friendly kitchen. 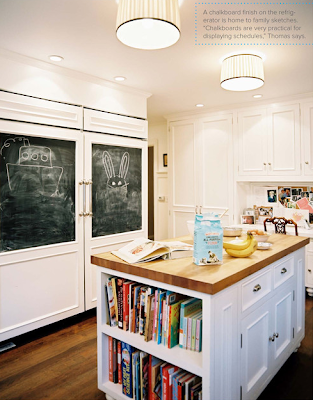 I'm a big fan of the chalkboard paneled refrigerator and freezer doors. Yes it has a bit of a messy look but that is the way your life really is when you have kids. Lots of drawing, schedules and creativity. Thank you Lonny for a great issue! If you ever need a guest editor or feature...I'm here when you need me! My brother's room growing up had grasscloth on the walls and I loved it. After 10 years of the natural color, my parents had it painted a beautiful shade green- and it even looked great painted!